This Awesome CB1000R Has Clearly Been Loved! The Bike Has Been Fitted With R & G Crash Bungs, Seat Hump, Hugger & Akrapovic Pipe! 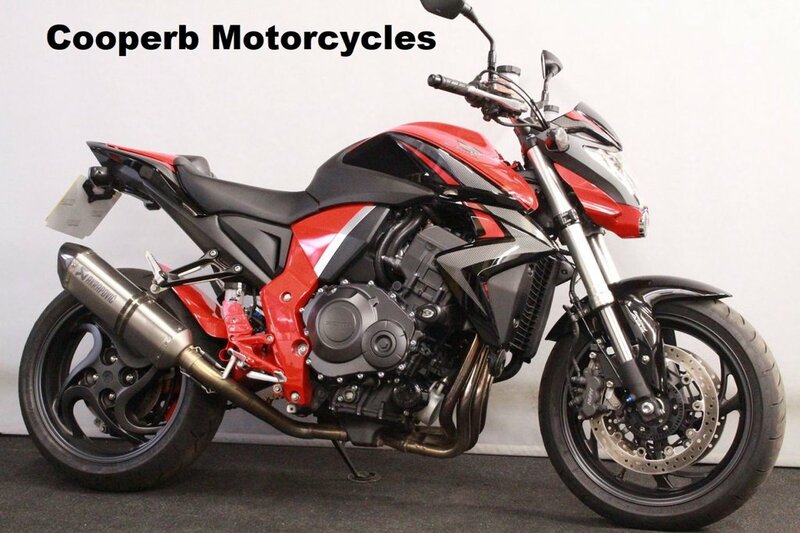 FREE 3 years legal expense cover!, Part Exchange VERY Welcome, HPI Clear, All Bikes Come With Full Warranty & PDI,Nationwide Delivery From £120 + VAT, More High Resolution Images On Request, Low Rate Finance From £0 Deposit. 60 Day Payment Holiday On Std HP Deals With Moto Novo. Typical PCP Example £99 Deposit, Then 48 x £100.81 Followed By Final Payment Of £3,841.19 Or Trade In - Or As This Is A GUARANTEED FUTURE VALUE Simply Return The Bike! Total Payable £8779.07 Inc. Deposit, Flat Rate 5.5 % APR 12.6 % Representative, Contract Mileage is 3000 a year, Excess Mileage Fee Of 8p a mile May Apply. Finance Is For Over 18'S Only Available STS, Terms & Condition Apply At Cooperb Motorcycles we like to offer the friendly personal service that only a family run dealership can offer. We listen well, try our hardest to help ONLY offer the highest quality bikes we can find.